Laying concrete these ensure a smooth blemish free finish. 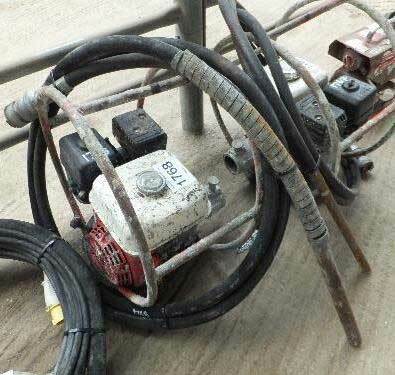 Petrol engine concreting equipment to power flexible shaft pokers or submersible pumps. Removes the air bubbles from concrete to improve strength.